I’m an online shopper. It’s gotten to be a little ridiculous particularly over the last couple of years but considering that TALL women had little to choose from until very recently, I feel fortunate to be able to afford clothes that actually fit. And by fit I mean, long enough in the legs, arms, torso, and give me the sense that wherever I go I’m going to rock the house in my fashionable get-up. Not too long ago I wasn’t so lucky. 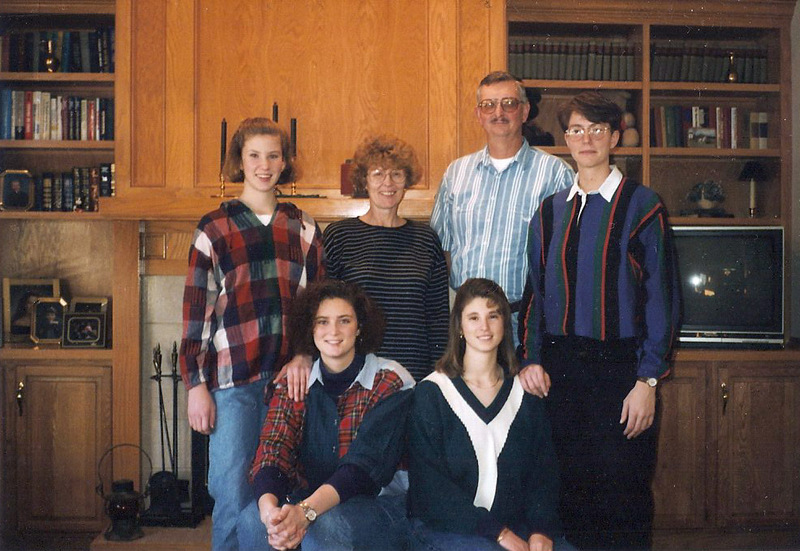 In junior high my fashion woes began. Nothing ever fit me appropriately. Lucky for me (and probably every other Tall woman) tucked jeans were ‘in’ and so were layered socks. I could easily hide the fact that my pants were too short by buying longer socks and layering the colors to match my sweaters and tops. Throughout junior high and really up until about my sophomore year in high school, this was my ploy. It really seemed to work and it was the late 80’s so I actually had some semblance of wearing what others were wearing. Of course, it looked ridiculous (even to me back then) but you wear the weird-shaped glasses, over-sized sweaters, and popped collars because that’s the style. Family shot. What a horrible shirt I have on! College was awful. There’s really nothing much I can say. I was still wearing men’s jeans and mostly men’s sweatshirts. Occasionally I’d find a nice shirt but I didn’t have any money in college and to be completely honest, I wasn’t really into fashion. It wasn’t that I didn’t want to feel pretty and look nice, but I didn’t know where to go. I had very little money, and most of my friends were men. It’s difficult to get your guy friends to shop with you. 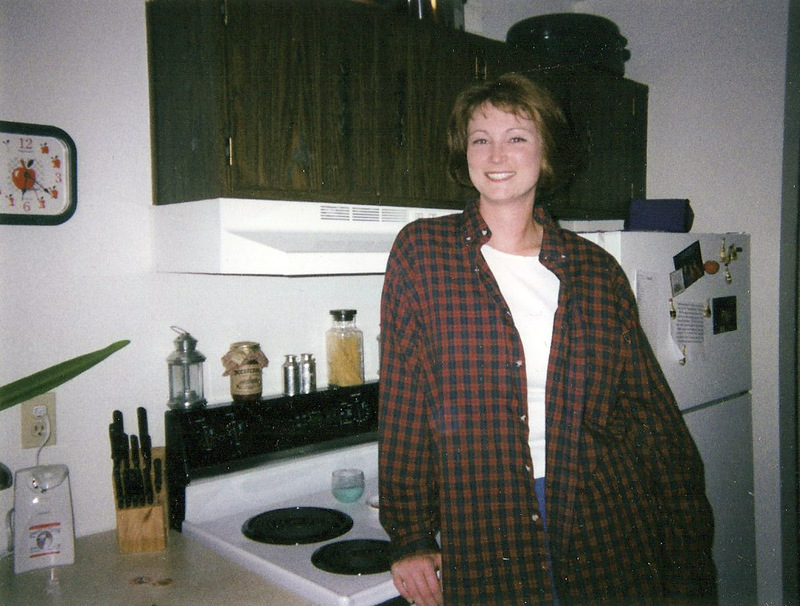 I wore a lot of plaid, untucked shirts to hide my men's jeans. When I first started out in the financial industry I wanted a nice suit. I lived in Des Moines, IA at the time and there WAS a TALL women’s clothing store located in Des Moines. I can’t remember the name anymore but they carried Pendleton brand clothing. My first time in the store I was amazed and devastated at the same time. The inseams were 36+, the sleeves were incredibly long, and the dresses fell all the way to the floor like they were supposed to…it was awesome. The clothes seemed a little ‘old lady-ish’ however my grandma, who went shopping with me at the time, informed me that each piece was timeless. Meaning I could wear these for years to come because they would never go out of style. The devastated part comes in when I started to look at the price tags. $200 dollars for the jacket, $180 for the skirt, and another $100 for the beautiful white shirt. This was one suit! It was a beautiful brown suit that I absolutely loved but almost $500! Grandma bought me that suit because she wanted me to have something nice for my job. I wore the shirt out completely but I still have that suit. A little big, but it still fits! Nowadays I have choices (and a little more money) at my fingertips. I can go online and there’s a multitude of shopping I can do from the comfort of my own home. Sure, it’s no fun when you spend a bunch of money on key pieces of clothing only to find they don’t fit exactly right. You send them back for a different size BUT you’re also narrowing down your sizing for that particular vendor and you’re that much closer to discovering the true fun of being able to shop for TALL clothes. I can never have enough clothes, or boots, or suits, but I’m getting there. And it’s fun! I’ve spent a lot of time and money figuring out which places I like to shop, where I can find a great deal, and the places that seem to have better quality than others. I’ve highlighted a few places below to get you started. I should probably throw in a disclaimer that all of the hints below are based on my own personal experience. My intent is not to be an advertisement for any of these shops, I only want to get you started on your own wardrobe and hopefully enjoying online shopping as much as I do. Shop away! Long Legs – My favorite store to buy my classic clothes. I purchase all of my work suits here. I also buy many of my jeans here too. Good quality. Sign up for the newsletter for savings. I really like the fact that they remember me when I speak with them (maybe as a former Miss Tall International?). Long Tall Sally – I buy much of my fun, everyday items here. Wait for sales because they have a lot of them and you can get some incredible deals. Lots of swimwear. I recently bought 2 pairs of boots for a steal and I get compliments on them and my other clothes all the time. Long Elegant Legs – Check out their weekly specials for deals. I really like their tops and dresses. I’ve bought some pants with success in the past as well active-wear. I bought a trench coat here once that I adore (and still wear). 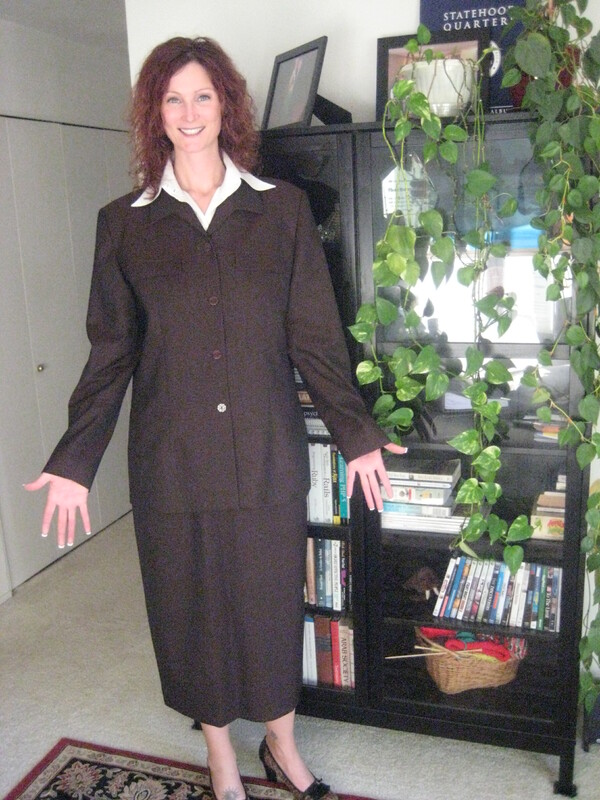 Susan’s Tall Fashions – Susan gets all of her clothes from Long Elegant Legs. It may be from last season or simply overstock but you can get some bargains. Sizing may be tough but always keep checking back. Old Navy – Old Navy now has a Talls online! I buy workout gear and many undershirts (layering shirts) here at incredibly frugal prices. Google Old Navy Coupons or hit up retailmenot.com for coupon codes. It will save you an additional 10-15%. Grapevinehill – This is my ‘secret’ store for inexpensive, name-brand shoes. It’s an ebay store that doesn’t charge shipping (usually) and they have shoes up to size 12 for women and 15 for men. Brand names such as: Born, Rockport, Timberland, Ralph Lauren, Taryn Rose (love these! ), and much more. Alloy – Jeans with 35 or 37 inseam. Wait…cool and hip jeans that are long enough. Prices are good too. Sizing can be a little different because it’s junior sizing (I wore a 11 in one pair and a 17 in another) but don’t be fooled, it’s not only for teens. JC Penney’s – Lots of good deals here especially if you get the Friends and Family discounts they run every so often. I use much of their clothes for layering pieces. Since they stopped the Ultra Talls I find the sleeves and pants are a tad too short but short sleeves, skirts, and dresses work just fine. Simply Tall – I like this website for their tops. I’ve not purchased any jeans or pants but I do see common brands that I’ve seen in other stores so I expect they would be fine. Good quality clothing.